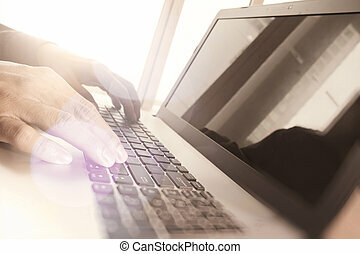 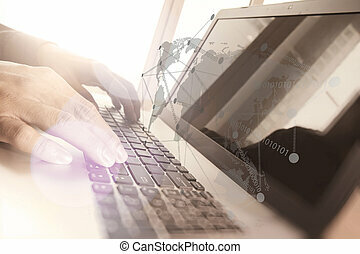 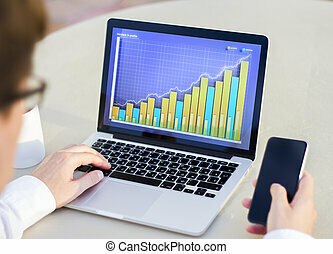 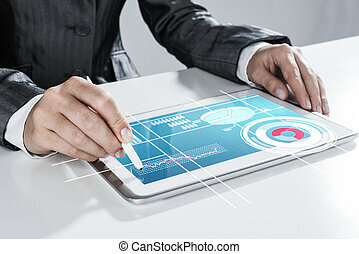 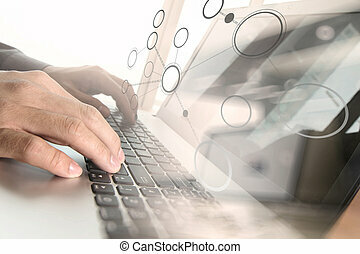 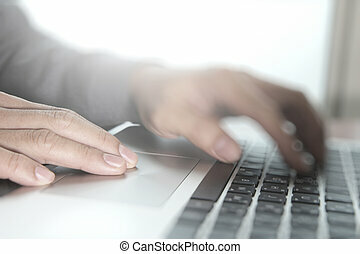 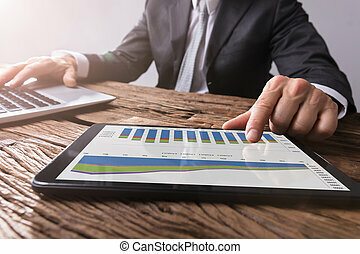 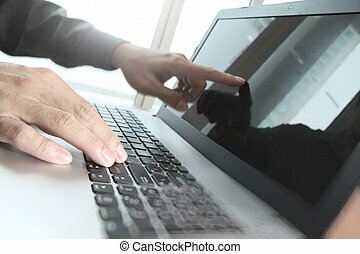 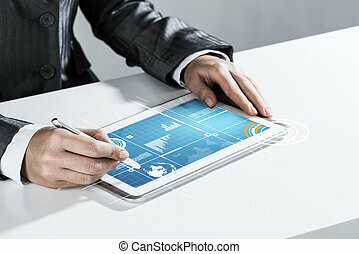 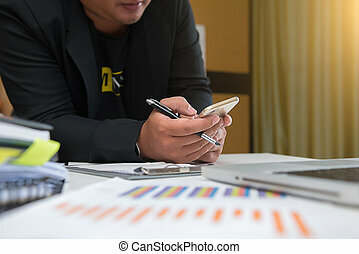 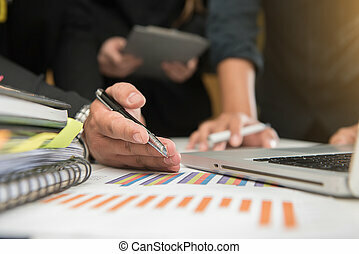 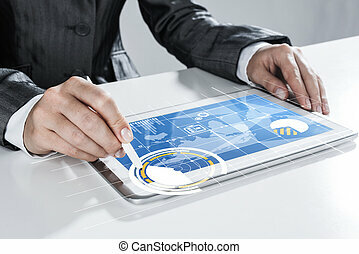 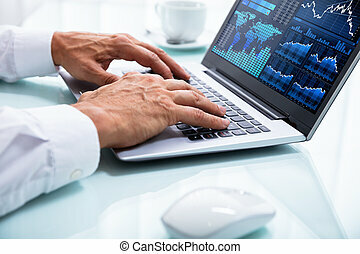 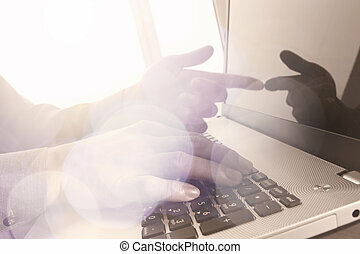 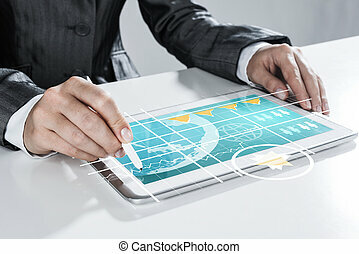 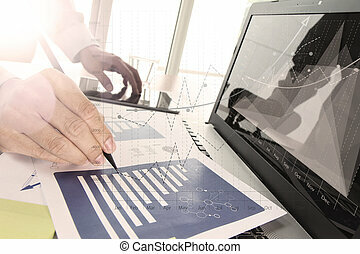 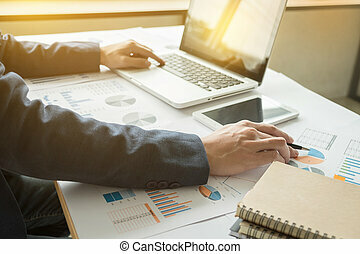 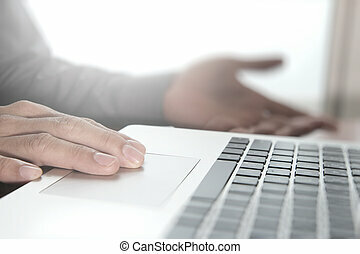 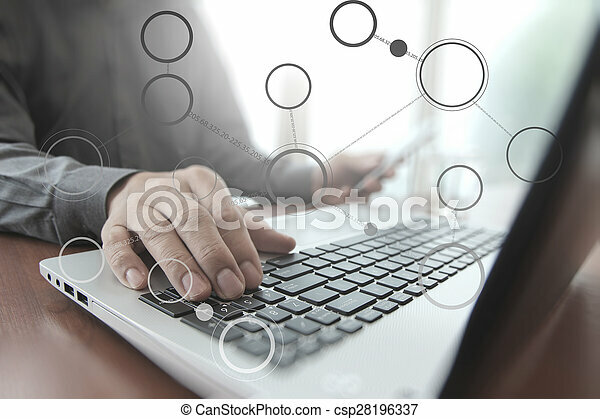 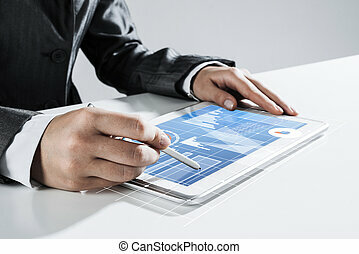 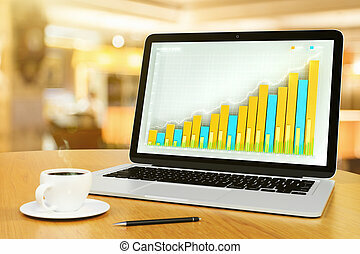 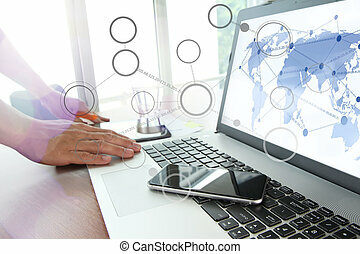 Close up of business man hand working on laptop computer with social media diagram and chart graph on wooden desk as concept. Close up of business man hand working on laptop computer with business strategy diagram on wooden desk in office. 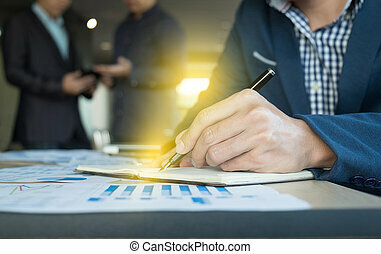 Close up of business man hand writing on notebook paper with business strategy diagram on wooden desk in office, teamwork process.